Everybody wants to be a celebrity, and why not? The fame and big paychecks seem like living the dream. Celebrities are paid well, live in nice houses, and drive nice cars. Even among this class of people, there are elites who remain top earners year over year. Do you know who makes the most? Here are the highest paid celebrities of 2015! Floyd “Money” Mayweather had his big fight with Manny Pacquiao in 2015, and he got paid well for a little over two hours of his time. 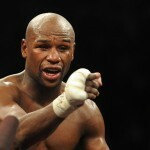 Many people may think that the fight was uneventful, but it was certainly eventful for Mayweather’s bank account. 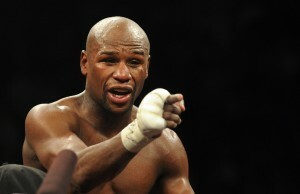 The man made $300 million dollars last year, and that fight was a huge part of his income. Katy Perry was the headliner for the super bowl, her songs are in commercials, movies, radio, and just about everywhere else, and she had a number of beauty and other campaigns. 2015 was a big year for Perry. Hard work paid off for the gorgeous singer. Last year, she made $135 million dollars. Shock radio host Howard Stern is doing rather well himself. He still does radio, and he is also a judge on the popular America’s Got Talent. People must like what we has to say, because he made a surprising $95 million dollars last year. So, how did you do? Were the answers what you expected? It’s certainly strange to think one of the highest paid celebrities of 2015 was a radio host. Perhaps the rumors of radio’s demise had been exaggerated.